I started this blog back in January for several reasons. One reason was that I had accumulated way too much yarn over the last dozen years. A second reason was that I had too many unfinished knitted projects. For 2015, I resolved to either finish those projects, or else frog them and wind the yarn back into balls. I resolved to reduce the amount of yarn in my stash by either knitting or crocheting useful and pretty things that I could then either keep or give away. I would document my progress in the blog, and once I went public, I’d really have to commit. Yes, I have that much yarn. I have sock yarn, from the fairly inexpensive stuff you can purchase at chain craft stores, to the really expensive hand-dyed extrafine merino wool that they sell at independent shops with “Fine Yarns” added to the store’s name. I have balls and skeins. 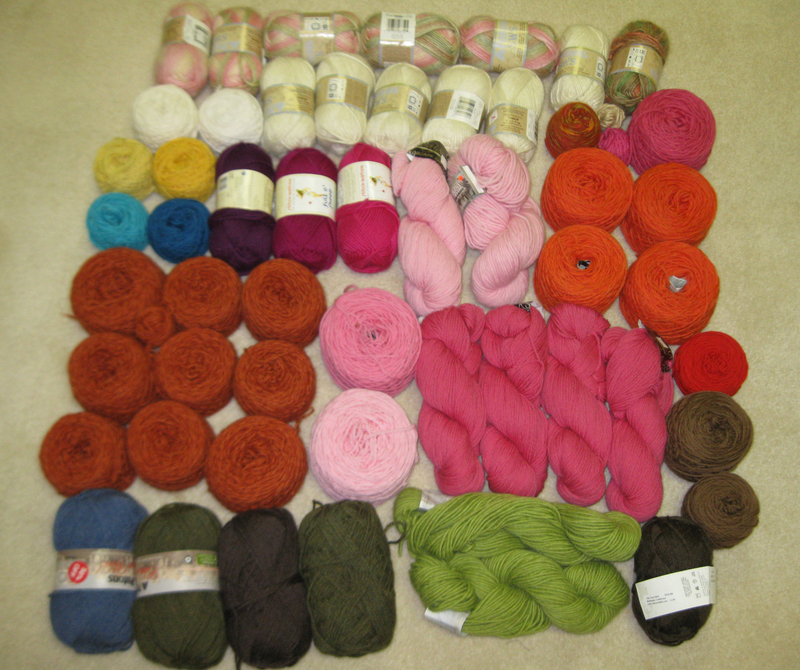 I have Peruvian wool, lamb’s wool, merino wool, silk, cashmere, and super kid mohair. They come from Romania or Japan, Italy or Germany, Wales or other places in the United Kingdom. The labels and brands vary from the small and obscure to the names you know, like Noro, Cascade, Crystal Palace, Classic Elite, Karabella, Debbie Bliss, Berroco. I have cotton, linen, and bamboo. 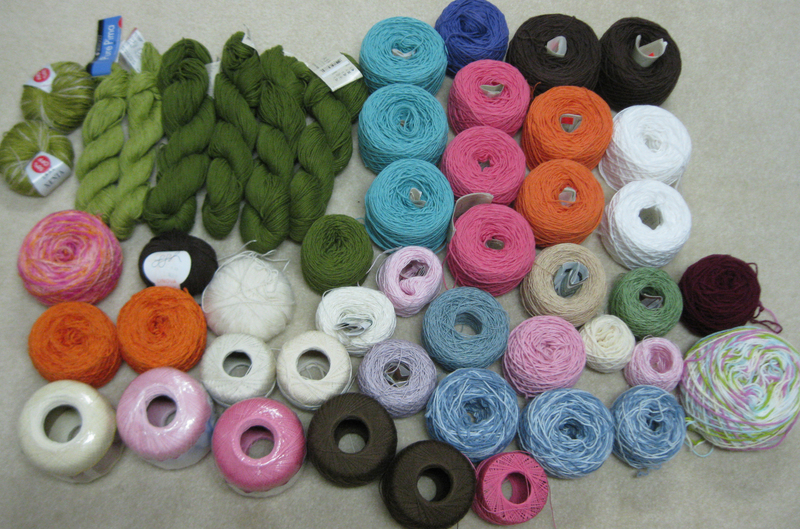 I have cotton-linen blends, and acrylic-cotton blends. I have 100% acrylic that is made a lot softer now than the old scratchy stuff from back in the day. I have a lot of yarn. This is a stash that grew out of the last twelve years, starting in 2003 when I left my full-time teaching job and went back to graduate school to pursue a new career. When I look at each ball or skein, I can remember where it came from and the general time in my life when I bought that particular yarn, whether it was during the MACP or PsyD program, pre-doc or post-doc, the dissertation, the internship year, the interminably anxiety-ridden months of licensing exams, or post-full-time-permanent-state-job status. Now I can breathe in relief that those stressful years are behind me. I’m happy in my present time. And I have enough yarn today to keep myself knitting and crocheting right into retirement. 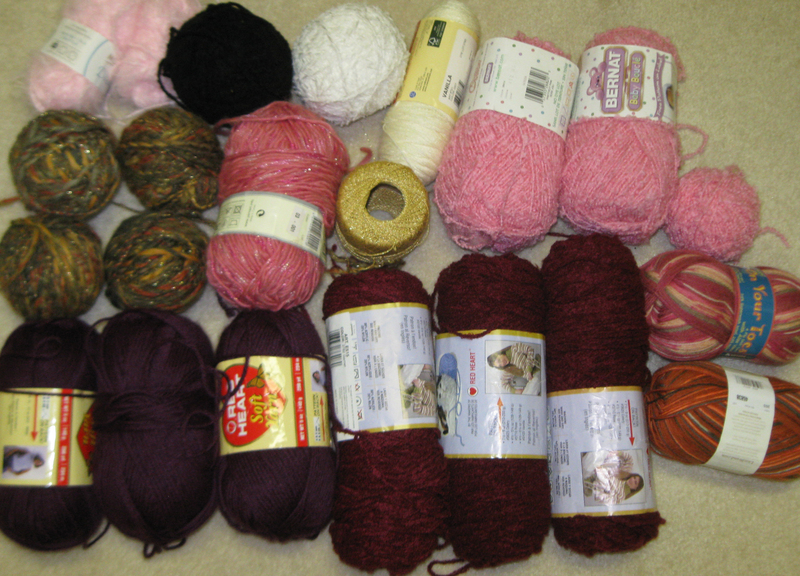 Categories: Handmade | Tags: crochet, knitting, reasons for starting this blog, yarn stash | Permalink. oh my glob i love yarn. My stash is very modest though. I don’t have a yarn stash, but when you look in the laundry room fridge, you will discover I am a pasta hoarder. While you work on using up your yarn, I will work on using up the boxes of pasta. I don’t have the nerve to photograph my hoard. Proud of you, sweet daughter in law. I like that you have lots of different shades of green. For me, it’s not easy to find green.. I only have 5 skeins… But I imagine this will be me in 10 years. 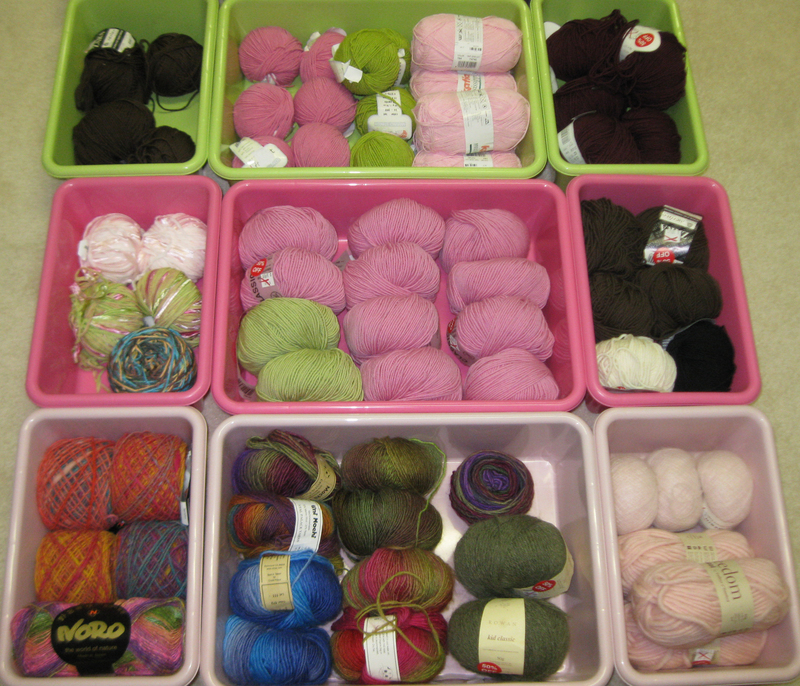 It’s funny – I’ve just done a post on my stash as well ( http://laptopontheironingboard.wordpress.com/2015/03/23/stash-confessions/ ) Your stash is so much more impressive than mine, and full of proper, decent yarn, too. 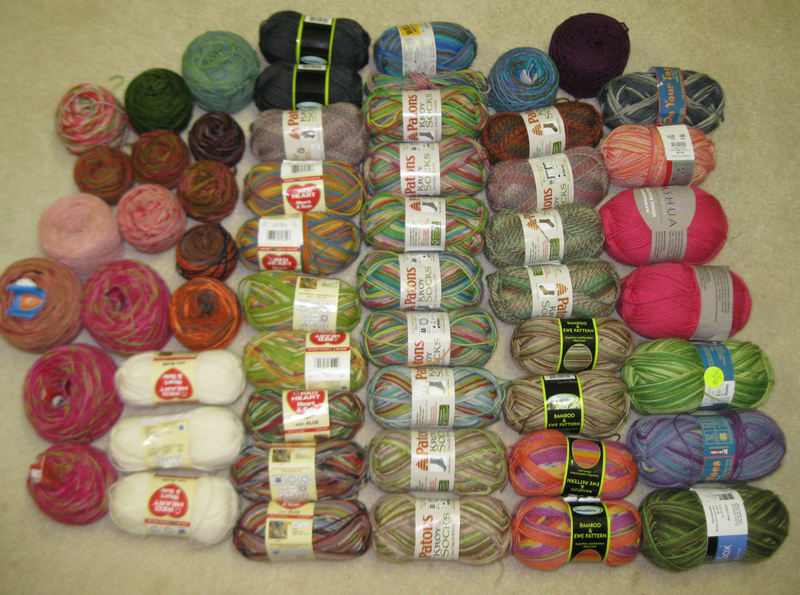 I’m incorrigible – I’ve just written about how I have too much yarn and want to get rid of it, but now that I’ve seen your stash I’m green with envy and want to own it all! No no no, you don’t want a stash this big! It’s really too much. 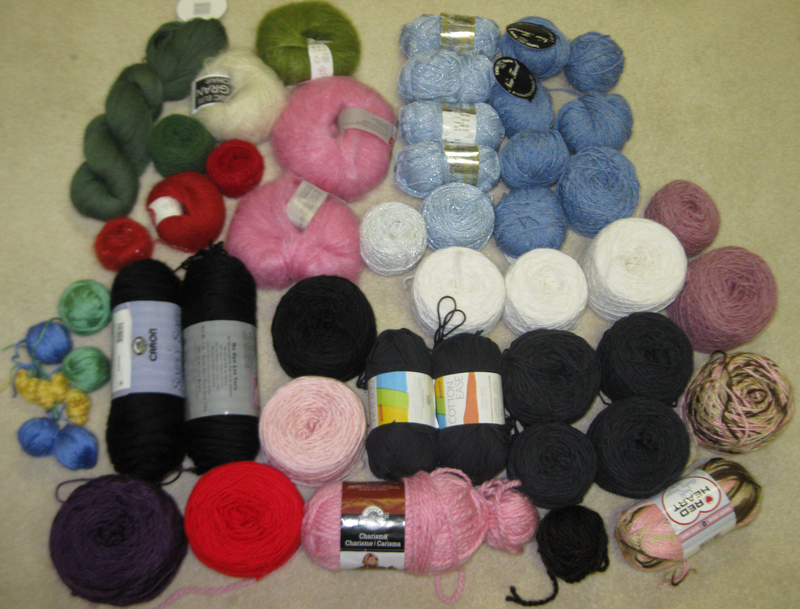 I have enough yarn to last me for years. I am hoping to get it down to a reasonable size. Like one drawer full, or a medium-size basket. Haha! 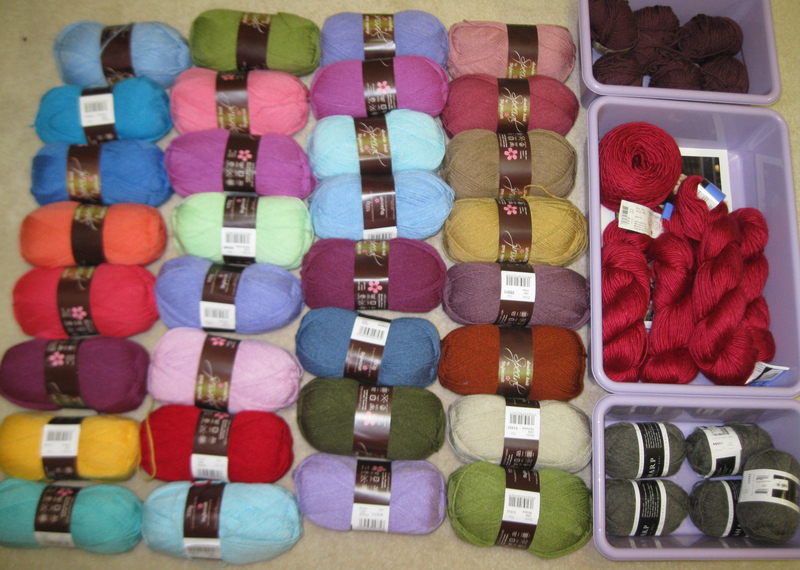 Unfortunately, a lot of my stash is made up of yarn I’ve fallen out of love with or bought simply because it’s on special. Sigh!